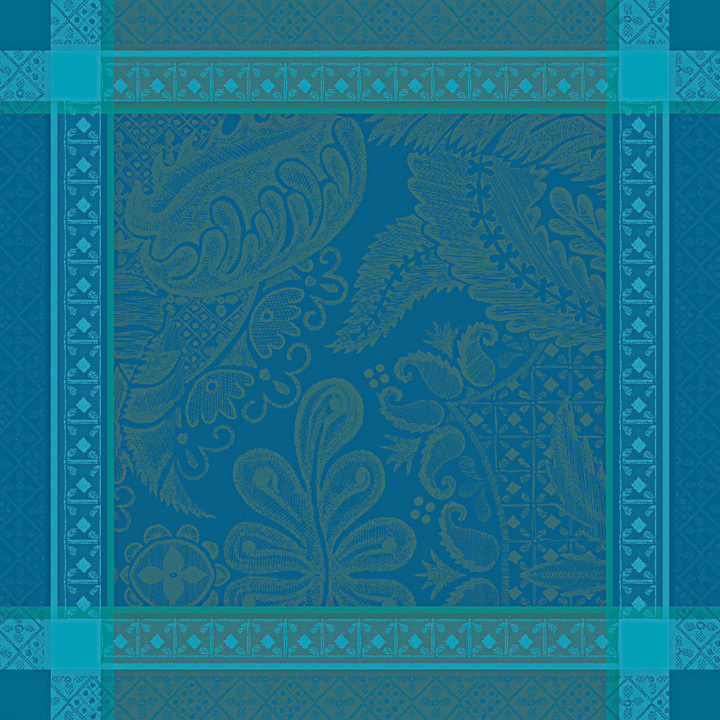 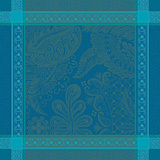 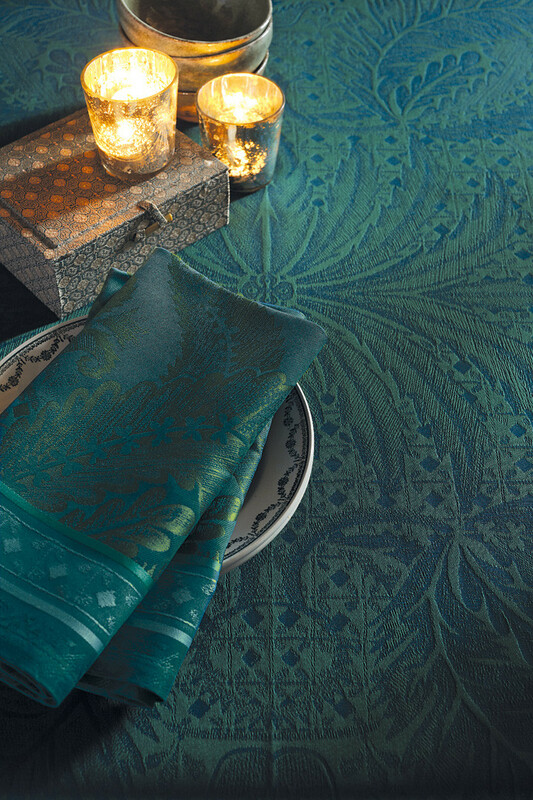 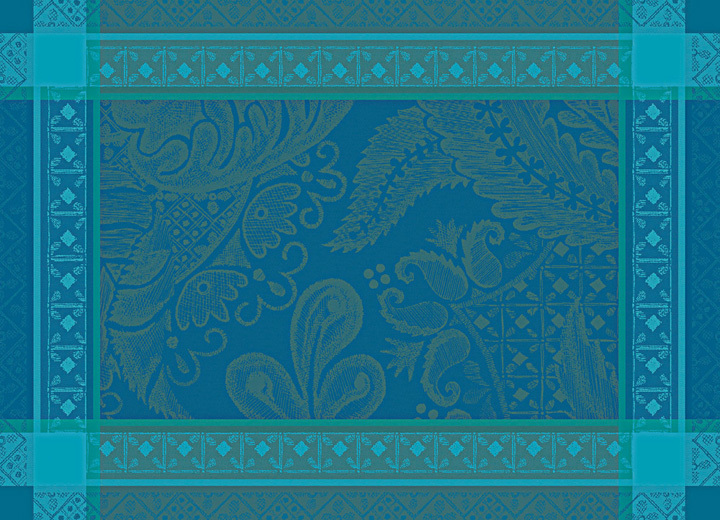 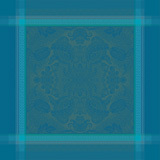 Isaphire Emeraude table linens by Garnier-Thiebaut feature a beautiful framed damask pattern of cool blues, greens, and turquoise. 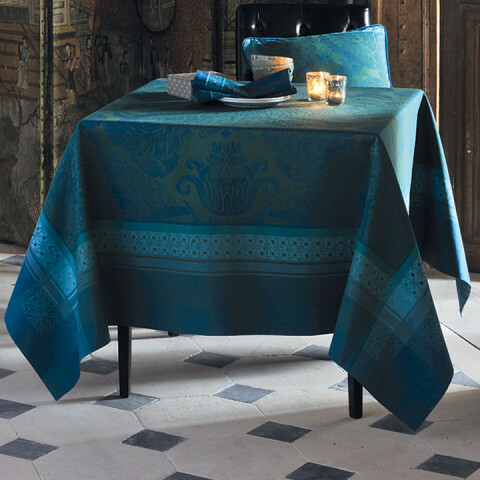 All pieces (except napkins) woven on soft 100% cotton and treated with Green Sweet to be stain resistant. 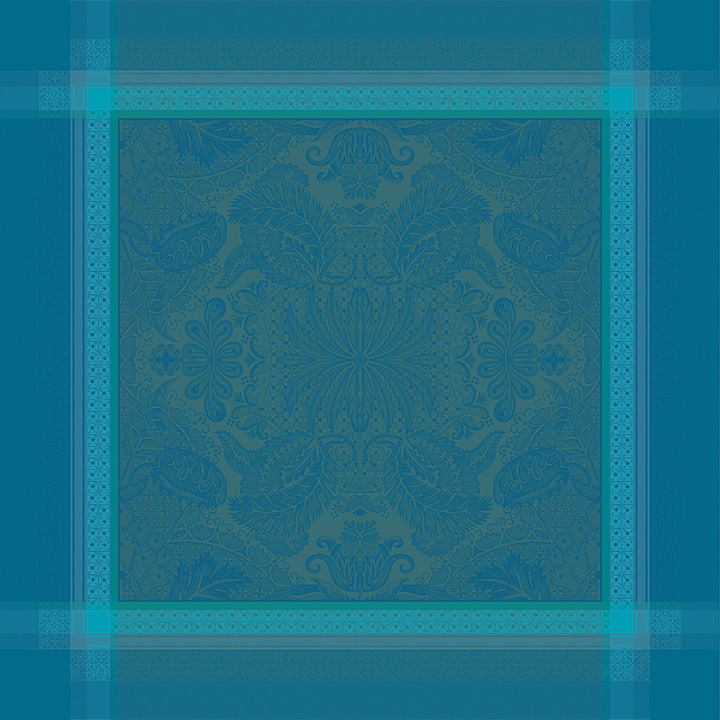 Mitered corners with plain hems.